This large quilted tote bag with its mint and navy blue trim is ideal for a spring day outing. It features an intertwining vine pattern on a quilted background. Totally feminine, ladylike and soft. Rope covered handles, inside wall pocket, footed bottom and zipper closure. Lightweight, easy over the shoulder or hand carry. Removable snap accent bow. Large quilted tote bag that can be personalized with name or monogram measures 22"W x 14"H x 7" across bottom. 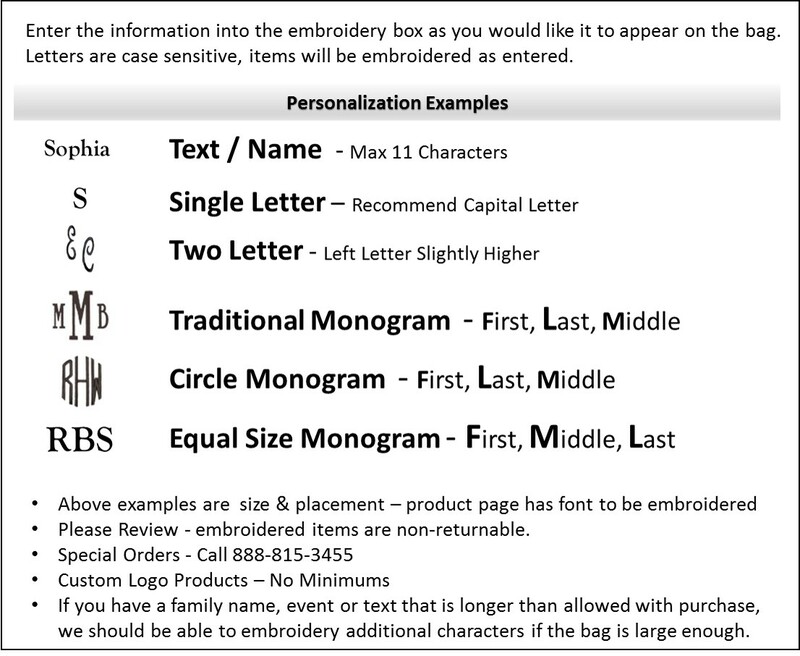 The monogrammed bag came to me quickly and exactly as shown and described. The quality is good and I will definitely order again!